Malaysia's former prime minister, Najib Razak, has been charged with 21 counts of money laundering, in a case linked to a multi-million dollar corruption scandal. 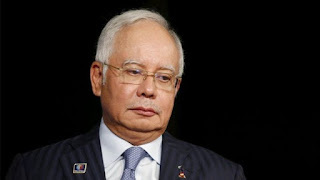 He was charged in court on Thursday in relation to the alleged transfer of $556m (£421m) from state fund 1MDB into his personal bank account. He was also charged with four counts of abuse of power. Mr Najib has pleaded not guilty to all 25 charges. The latest charges come on top of three counts of money laundering levelled against him in August.